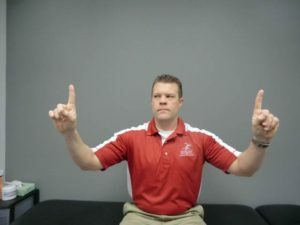 SSOR thanks Dr. Michael Khadavi of Carondelet Orthopaedics (www.c-ortho.com) for this guest post on concussions. The “team approach” to patient care is vital & the staff at SSOR feels that it’s important for physicians and physical therapists to work together to maximize patient satisfaction, outcomes, and continuity of care. Thank you Dr. Khadavi for contributing to this post. Call 913-642-0200 to schedule an appointment, or follow him on Twitter @rundockc. If any concussion symptom is present, the individual should be removed from play, and not returned until evaluated by a medical doctor, even if symptoms quickly resolve. Brain imaging is rarely performed for concussion, as it generally shows no structural abnormality. This is because mild traumatic brain injuries represent a disruption of metabolic processes on the cellular level. Rather, the diagnosis and severity rely on a thorough history and physical exam by a medical doctor. Assessment at an emergency department is only warranted if symptoms worsen. Some examples include: repeated vomiting, seizure activity, visual or speech disturbances, or increasing dizziness, drowsiness, or weakness. 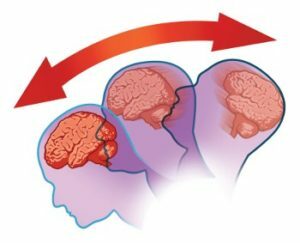 The potentially life-changing consequences of a poorly managed concussion or a repeat concussion before resolution of the first include amnesia, depression, insomnia, headaches, seizures, and death. While concussions will never be completely eliminated, their incidence may be reduced. Fortunately, we have seen big steps taken by athletic organizations around the world to promote safety. Once day-to-day activities are symptom free, there is a role for rehabilitation in recovery for concussion. First of all, balance impairments are common after concussion. Balance exercises should in included in the recovery plan. 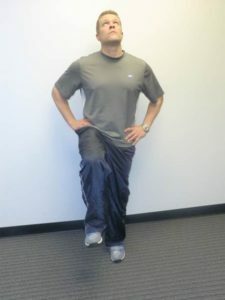 Secondly, and perhaps most importantly, there are many athletes who have ongoing problems with dizziness and headaches. These athletes are ideal for vestibular rehabilitation. Using an analogy of a boat on the water, vestibular rehabilitation helps return the brain to calm waters. In a concussive event, the vestibular system can get impaired and cause the feeling of being on rugged ocean waters, causing issues with bending and transitioning from lying on your back to sitting and vice versa. The objective of vestibular rehabilitation is to help the athlete get from rugged waters to calm waters by helping to restore normalcy in the brain. Vision training is another integral part of rehabiliation for concussion. Because of trauma to the brain, reading, watching TV, and sitting in class can cause intense headaches. Eye-tracking activities as well as activities to work on focusing on objects help re-train the brain as well as eye movements and is very important for people to be able to return to work, class, and sports. Vision training activity where the patient moves the eyes left and right and focuses on a target. Your physical therapist should also address any soft tissue tenderness or cervical spine mobility deficits that result from the concussion. Many times, we see people who are recovering from a concussion and we can reproduce their symptoms with gentle soft tissue mobilization of muscles in their neck. Similarly, the cervical spine often loses mobility due to muscle spasms and guarding after a concussion and the person needs gentle cervical manual therapy. This doesn’t mean that the person should have high-velocity thrust manipulation, rather gentle oscillatory mobilizations. Once soft tissue and joint mobility is restored, treatment emphasis shifts to neck muscle strengthening. Deep cervical flexor strengthening exercise. 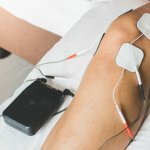 Once the athlete is symptom free during day-to-day activities and has been cleared by his/her physician, the athlete can begin the graded return to activity discussed above. Concussions should not be taken lightly as they can lead to a lifetime of complications, and sometimes even death if proper recovery doesn’t take place. Further, repeated concussions can lead to more symptoms surfacing more frequently which will affect not only sports, but life in general. An accurate diagnosis and a clear plan of care is imperative to ensure the best likelihood of success. It would be a privilege to partner with you in the care for your concussion. SSOR has locations in Overland Park & Prairie Village to serve you.